The Philippines is lookin’ good! 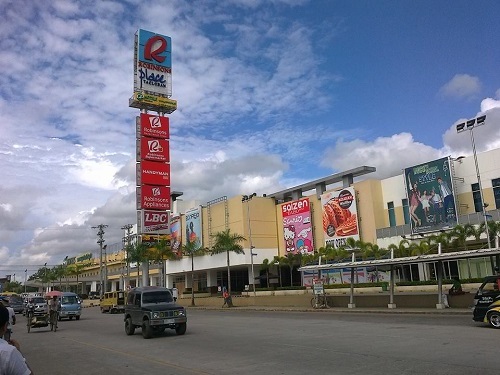 After typhoon Yolanda, my wife and I stopped going to Tacloban on our monthly trek to the supermarket and mall. 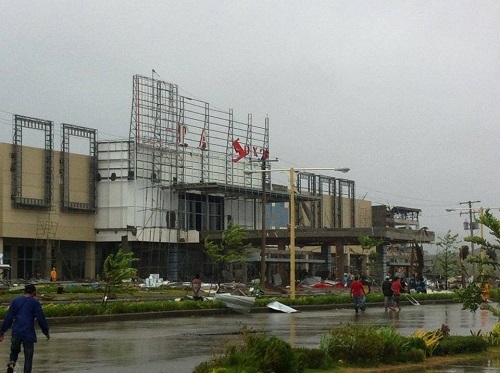 The storm and desperate pillagers ripped the mall and most of the town from its foundations. We shifted our shopping to Ormoc like about half of Leyte did, judging from the congestion there. The other day, we needed to take care of some health matters at the hospital in Tacloban. We finished early and took the opportunity to drive about the city and stop at the mall. The city has returned to life. It still looks damaged but no longer destroyed. Shops are opening fast and jobs are coming back fast. There is a certain serious, determined pragmatism to activities. I suppose it is slogging along as people deal with the harsh aftereffects of too many buried and life ripped from ITS foundations. But I noticed something. People are more polite now. That was true not just in Tacloban, but during the entire trip. Trucks slowed so I could pass. There were no aggressive tailgate drivers trying to will the cars in front of them off the road and into the ditch. The traffic lights downtown were ripped out by Yolanda so now people simply concede politely to one another at the intersection. Cars actually slowed or stopped for pedestrians crossing at the crosswalks. Well, not everyone, of course. But it used to be “run ’em over”. The gas station attendant did rip me off for P100 in change so progress will take time. But very assuredly, there is a tinge of consideration of others working its way into lifestyles here. Perhaps it is a result of the storm – God deciding to impose a little humanity upon us in order to deal with His mighty smite – but I think it is more than that. Our barangay recently introduced and actually ENFORCES a noise reduction ordinance that has shut off all of the late night karaoke blaring. The rule is no loud noise after 10 PM without a permit. In downtown Naval, they have had daily trash cleanup for some time, and enforce a “no stray dog” rule. Steps have been taken to deal with the congestion – better trained traffic controllers and designating one-way streets. Roads are being widened to get tricycles out of the way of cars and trucks. It is a bustling, healthy, vibrant – civilized – place. As I observe this, I can’t help but think of the Facebook study that shows people are susceptible to their surroundings. Negative surroundings cause people to publish negative posts on Facebook. Positive surroundings cause people to publish positive posts. I think the President’s straight path is having a very profound trickle-down impact on things other than economic well-being. It is making good behavior a part of Philippine lifestyles. Couple that with greater online awareness and the return of OFWs from “well ordered” nations, and we are undergoing a cultural shift. Slow motion, yes. But the shift is one that sees people extending courtesy to others for the simple reason that it is a good thing to do. Oh, sure, you can always find thousands of incidents that say otherwise. But the point is, if you look carefully, or think back what it was like 10 years ago and what it is like now . . . the provincialism is most definitely leaving the Philippines in favor of more cosmopolitan behaviors. Can you imagine what would happen if government returned to the days of favor and power, of the style that says security guards doing their job are offensive to the entitled, or unqualified people like boxers and daughters are welcome in the senate, or alleged crooks are okay as vice presidents and mayors? The trickle-down effect of that? Leadership values set the pace for an entire nation. The 2016 election is critically important. Not just for the economy, or policy with regard to China, or tussles between branches of government. It is important to determine whether or not the Philippines is a community, a union . . . a nation . . . or a place of ever-competing, rude, crab-like individuals out for themselves. It is important to realize that what happens either way – a president who takes us backward or one who takes us forward – it is within our control. I personally think we would be a better community of mankind, a better nation, if we pursued the straight path forever. Past artificial presidential term limits. I liked what I saw during the drive to Tacloban. It is the first time I’ve felt here that we are all in it together. I’m not sure he has much to do with progress there, frankly. It is all private efforts. The priority for the City seems to be to widen the road for the Pope’s visit and blame the national government for not rebuilding everyone’s homes already. Never mind how many hollowblocks the Pope’s road could have made. If you say so. Mabuhay Taclobanon! I like today’s topic and the implication you submitted with it – that the city government has nothing to do with the upbeat tone happening in Tacloban; that it is the people’s collective political will to take matters in their own hands and do what’s proper and for the businessmen there to put local commerce back on its feet again. Likewise, for the comparison you did of basically the same phenomenon going on at your place; people owning up to their share of their responsibility to the community. Nice. Basic people power. Indeed. As for the city’s attempts to put on a show for the Pope’s visit, it may be wiser for them to tone matters down. Pope Francis is an entirely different pope and his disdain for lavishness in professing our faith is not a secret. His operative words are simplicity and humility. Thank you for today’s topic. Yep, I think the Pope would be embarrassed greatly to know cement is being poured for his visit while the suffering are still in tents. It is amazing to me that the leadership of Tacloban projects their own “power and favor” values onto the Pope. Like they are deaf to Jesus, in a way. Too much show. Too much manipulation. How good it is, brothers, to live in unity! — I know this is from the Book of Psalms. I can’t recall which number. 🙂 a toast of Moscato to you, Joe! Cheers to you, too, sonny. Thanks. What a wonderful way to start the day 🙂 Thanks for the good news! I am very happy that Tacloban is healing. The resilience of Filipinos is very admirable. I am always betting my bottom dollar on seeing a peaceful and prosperous Philippines in my lifetime. Kudos to Rappler for reposting this 2001 investigative report! Ahahaha, cute. Love those Andrew Sisters. My mother used to dress like that! I totally absolutely agree with your observation. It takes a calamity for Visayans to work together. It happened under Ruping in the 80s. False tsunami warnings after the Thailand tsunami. It happened again in recent earthquake. Visayans help each other. Cabinet members, congressmen, senators and politicians help together in scamming the victims for political victory. Shared history of tragedy does seem to make people more human…..NYC after 9/11 became a more gentle place. The whole city paid homage firstly to the first responders led by their officers who perished and then to the families of the victims….Neighborhoods from as far as Long Island and New Jersey shared in the grief and responded as human beings. This is not being disrespectful of the change in attitude of the people of Tacloban during this rebuilding process but how long would it last? Is it going to stay for a long time? Or would it be like Baguio city after the big earthquake in 1990 where the transients from the lowlands went back to their home provinces so the city experienced a renewed peaceful existence like the natives were transported back to the 60s and the 70s where walking in the downtown area was a delight because there were only few people then? The air then was so clean and smelled of pine trees. Ten years after, it was a nightmare to venture out there due to so many people who converged again in that small area. Twenty years later and the situation was like hell. Almost all the public utility vehicles are running on diesel fuel so you can imagine how it is to walk on Session road and other busy small streets when the fumes envelop this mountain city the entire day and into the early hours of the night. And the drivers are not so different from the ones we see in Manila. I hope Tacloban would retain such orderliness long after the people there had settled into more comfortable situations. I’ve wondered that myself. I’m hoping that it becomes a national phenomenon and that Tacloban remains courteous. My home town is certainly starting to think in terms of taking care of people by enforcing courtesy-based laws. If the national government deals straight, I think cities eventually will, too. Courtesy is, after all, 95% common sense. Indeed, that’s true. Courtesy is the difference between a good day and a bad day. I do note that kids here are well-instructed to be respectful of elders, with blessings and other kindnesses. How nice if that were made a part of the child-raising disciplines for EVERYONE. Not blessings necessarily, but expressions of courtesy toward strangers and family and friends.